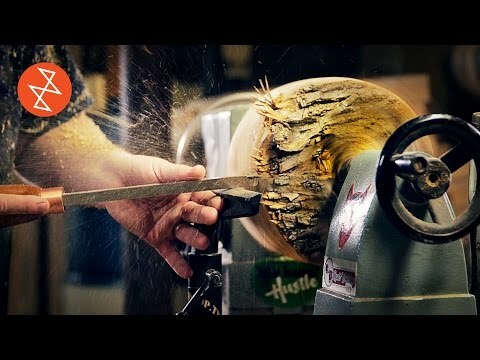 Woodturning with a lathe, turning a log of beech into a bowl. English and French subtitles are available! Click the CC button. Today we're featuring Pat Laperrière of Le PicBois from Quebec who is a woodworker primarily focused on wood turning. In this video, he demonstrates how he makes a simple, yet beautiful wooden bowl out of a log of beech. Pat has been woodturning for three years, and although he makes it look easy, it's quite a dangerous and skillful endeavor. Pat also has a Youtube channel! On it he has made lots of different things by wood turning, pens, wine and beer glasses, bread knives, urns, spoons. He also tends to goof off a lot so you'll find some hilarious moments when watching his stuff.